Not a Tumblr was stirring, not even about Leo Strauss. In hopes that substantive freelance projects soon would be there. While visions of in-line text citations danced in their heads. Had just settled our auto-insurance claim before a between blogging nap. I sprang to The Chicago Manual of Style to see what was the matter. Tore open my freeware version of Word and threw up the sash. Gave lustre to the bags of Fiery Hot Cheetos on the sidewalk below. But a miniature CMoS, available for download here. I thought for certain it must be trademark Carol Fisher Saller. And mini-CMoS whistled, and shouted, and called them by name! “Now, Reference! now, Bias-Free Language! Fair Use and Hyphenation! On, Parallel Structures! on, UNICODE! XML and Electronic Publications! To the titles of named podcasts! to the URL in the following sample! When they first qualify for consolidation and mount to the sky. I thought: wish I’d ordered that damn free Powell ebook. This is a gratis download? Gosh, it’s like when I donate to my TIAA-CREF. She looks just like the full-sized CMoS—OMG! She’s a PDF! Her lowercase characters: how they twinkled! her spacing: how merry! Her diacritics: like orchids! Her transliteration: like a cherry! I’ve figured it out. 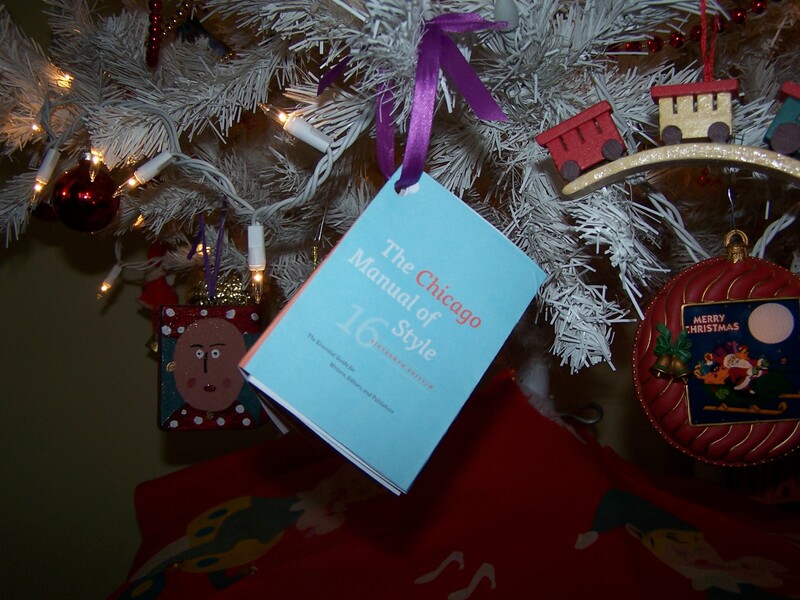 She’s a Chicago Manual of Style mini-holiday ornament! We celebrate Hanukkah and Xmas (the yogi and I), but really we’re pagans. Grammar’s a universal gift, like marimekko or the songs of Donald Fagen. Embracing the avant-’90s? Send to Eddie Vedder. Her elocution is flawless, her diction spot-on. She’s perfect for Festivus—hey, kids, what’s a sitcom? Soon let me to know I had nothing to dread. Writing opportunities daintily merged with conceptual art; what luck! Giving a nod, up the chimney (postindustrial metaphor?) she inclined. She sprang to the Blue Line, incanting abbreviations like a psalm. But will she read http://uchicagopress.tumblr.com? Happy holidays from Chicago! 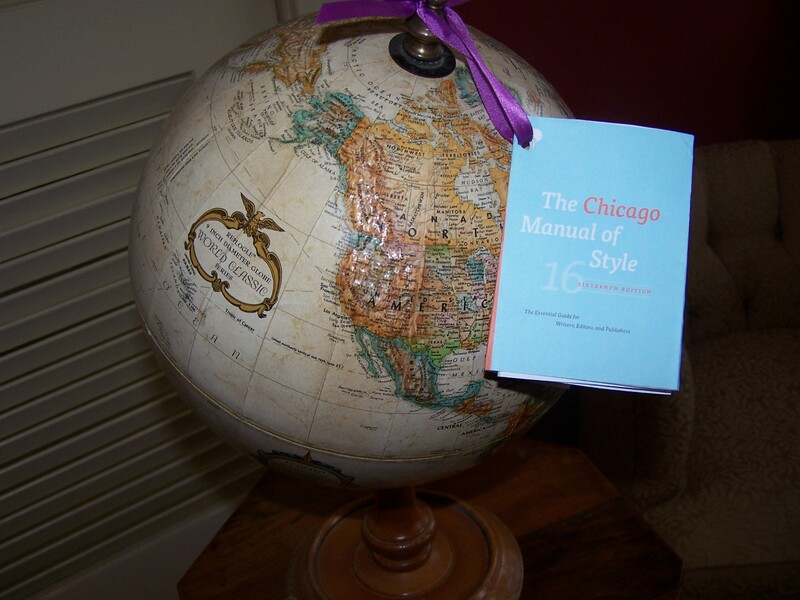 Download your own Chicago Manual of Style mini-ornament here.